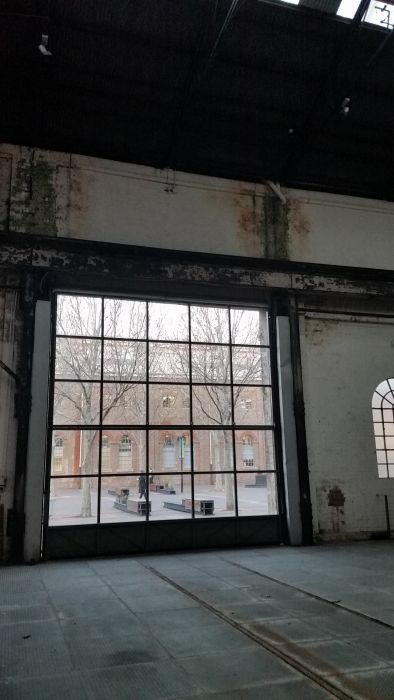 EVELEIGH: Mirvac – the new owner of the Australian Technology Park – has submitted its plans to redevelop the heritage listed Eveleigh Locomotive Workshops. The DA fails to appreciate or to protect the locomotive workshops which are recognised within Australia and internationally for their exceptional heritage significance. The locomotive workshops represent the pinnacle of industrial revolution design and manufacturing processes in Australia. The workshop buildings are unique with their distinctive saw-tooth roof form, external sandstock brickwork and the vast industrial scale workshop space consisting of 16 bays supported by cast iron columns. The workshops house state significant machine collections and industrial processes that enabled entire locomotives to be built on site. A highly skilled workforce was needed to realise the manufacturing process and their history is embedded in the site. These features combine to give the locomotive workshops a rare heritage significance. The workshops continue to hold great significance for the local community and over a hundred local residents have so far filed objections to the company’s controversial development proposals. There are many shortcomings in the Mirvac DA. They apply across the heritage spectrum: from the built fabric to the machine collection and the cultural and social history of the Eveleigh workers who provided the backbone of the local community for a hundred years. The standout, take-your-breath-away impacts on the built heritage are the proposals for a loading dock for large and medium trucks in Bay 1 North and a travelator designed to commence from an underground car park opposite the workshop and then rise through the footings of the southern wall of Bay 4 to an adjacent supermarket within the workshop. The proposal for a travelator in terms of its scale, character and location will undermine the engineering and aesthetic of the locomotive workshop built fabric. The proposed loading bay has a litany of shortcomings. It will cause an unacceptable disfiguration of the built fabric and will pose an unacceptable safety risk to pedestrians using the major pedestrian thoroughfare through the Australian Technology Park. A previous environmental impact statement revealed that 4,100 people arriving in the morning peak hour from Redfern station pass through Innovation Plaza, the site of the proposed loading dock. Trucks and pedestrians are like oil and water; they do not mix. The impact on Innovation Plaza, the most important public space in the ATP, and the site for the imaginative adaptive reuse of the public domain, will be irreversibly scarred and trees will be removed. The proposed loading dock will rip asunder the interpretation of one of the most significant items of industrial machinery in Australia, the Davy Press. The proposal to separate it from its furnace is a major folly. The loading dock combined with retail proposals for bays 1 and 2 will significantly reduce their original height, scale and proportion and is an unacceptable outcome. The redevelopment should not be approved until Mirvac and the consent authorities, including the Heritage Council, ensure that the proposed loading bay and travelator are located to other parts of the site. The Eveleigh Loco Workshops’ buildings, machines and workers’ social and cultural history fuse to produce this exceptional and rare heritage site. The workshops must be redeveloped in such a way to ensure the ability of current and future generations of the local and NSW community to enjoy and appreciate this living testimony to Australia’s industrial age.